Notes: Lucie's real-life great-grandmother's name, Florabelle Orchutt, is used as Lucy's great-grandmother's name in this episode. Notes: This episode was written by Lucy's long-time comedy writing team Madelyn Pugh-Davis and Bob Caroll Jr. 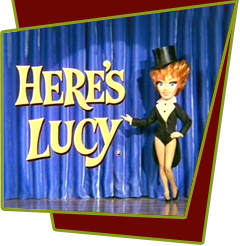 This was also the highest rated episode of all the Here's Lucy.